Sure, i teach all faiths. What is important, though is that you are coming to hoodoo as a cultural guest -- not trying to change it to suit you. I mean, i would not go to a Buddhist picnic and tell the folks there to confess the Lord Jesus, nor would i go to a Christian day care center and tell the staff that my kid was going to be attending but would have to be treated according to Muslim sharia law. Likewise, if you use Facebook, but none of your Facebook friends are black Americans, you probably should not attempt to take this course. In other words, use good sense. You know by now what this course is about (if not, read this thread from page 1 onward). If it does not seem like a good fit for you, just don;t take the course. First, I hope everyone who is there is having a wonderful Hoodoo Heritage Festival. I live in Minnesota and was prevented from being there, which was particularly a bummer because I am very excited about the release of Johannes Gardbak's book on Trolldom I would like to take Miss Cat's course. I have bought most of the supplies and I'm about to send off the order to get the rest of the supplies and books on the list (as well as a few extra things like the Trolldom book!). I would like to know if I should schedule a reading with Miss Cat before I try to finally sign up or schedule an interview. I already know I definitely want to do this (from thinking about it for the past few months and some Tarot readings and I Ching throws I have done myself) and I am prepared to finish all the lessons on schedule. I don't have religious reservations or any others (if anything else, trying out Hoodoo has made me a little more religious than I have been for a long time, which has been good), and as I white guy I am ready to talk to black friends about any folk practices in their background. Thanks! Acquiring a reading from Miss cat is not required for matriculation. HOWEVER, I would highly suggest a reading from her because she is PHENOMENAL! So, it's up to you. But, I say: GO FOR IT!! Anyway, you'll love the course. Miss cat is the world's best teacher and mentor with the patience of a Saint. She is always there for us whether folks are in the program or have graduated. Welcome to the course!! Hurrah!! Miss cat will look at any e-mails that are directed to the group. They have to be pre=approved by here before they go through. I know that she's been very busy and will probably get to it soon. Yay. I got to officially put the "G" after my student number. Congrats Gunterk!. 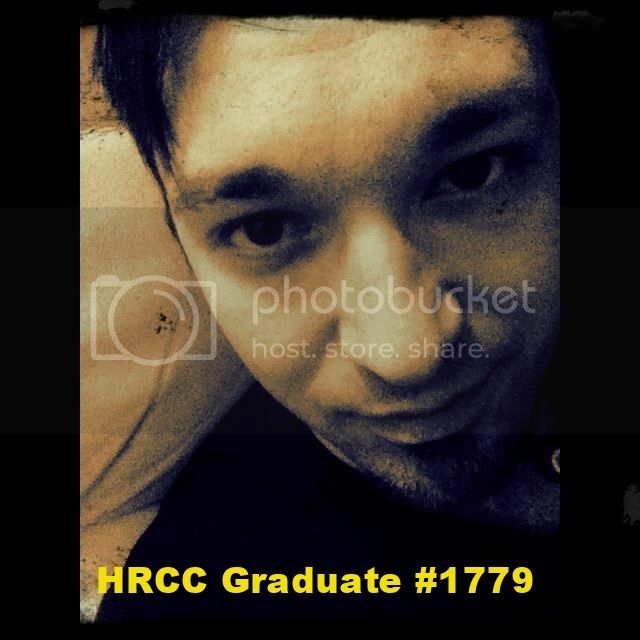 I too just found out that all my homework has been graded and I am now a graduate of HRCC. Yay Christian!!! WOOOOO! (applause!) Congrats!! magicmurphy wrote: Yay Christian!!! WOOOOO! (applause!) Congrats!! I am hoping one day to be able to do this but it will be a slow process for me to get all the goodies from the shop to do it. I do like seeing those who have done it. gunterk wrote: Yay. I got to officially put the "G" after my student number. Thank you Miss Aida! I'm hoping to begin the process of applying to Hoodoo Psychics. Congrats Christian, WOOT, WOOT! Way to go! I want so much to take your class, and I am preparing myself for this big event...The only thing that upsets me a little bit was one of the assignments. As I am outside of the US, what can I do about the one saying that I sould inquire about the magickal traditions of African-American descend? I have a lot of friends with African or African-South American background, but obviously none from US...Does it count if it's over the Internet? Please help, as I want so much to learn more! Thank you in advance and I hope that you will be interested in taking me as an apprentice! Blessings, you're fantastic! on the subject line. You are not the only person who has had this question/query and there is an answer for you (as there has ben for hundreds). Also, take a look at the posts on this subforum (I merged your post to the appropriate thread) as there might be an answer here. I believe that you would have to check that when Miss cat interviews you. You can make sure to ask her (although she does cover that in the interview). Have fun! The course is WONDERFUL!! Thank you so much. I cannot wait to get started. We're in the process of moving, so when we get settled I'm definitely going to take the course. I have decided to begin taking the steps needed to take the course! I am very excited! I already have a lot of Lucky Mojo supplies that I have bought from my authorizes reseller-retailers, and I love every product I've bought. I just placed my first order with Lucky Mojo's online store to start meeting the requirements. I think the required purchases are really helpful, because while I already have a lot of the required items, it gives me a chance to buy and use things that I would not normally buy or use. For example, in my first order I bought the Chinese wash, which I am so excited about trying out! And I never would have thought to buy it, even though I love Van Van products. What a relief for me -- someone who wants to take the course instead of arguing with me about required purchases or religion or race! YAY for you! Thankyou Cat! I very strongly agree with all of your requirements for the course, especially the cultural immersion aspect of it. You can't understand hoodoo without first understanding its history and where it came from! I just received my third order. Once again, I am thoroughly enjoying trying out all of the new products! I'll be placing my fourth order in the beginning of October, so you will be hearing from sometime after I receive that one. I am very much looking forward to an interview and being considered for the course! I was wondering how I might go about getting more information on how I can take the Hoodoo Magic Correspondence course? I am really interested and have been for quite some time now. I found the information myself. Good going, Oshun5 -- i am glad you found what you were looking for! I've read through the information and I am so excited! I know it will take time to gather all the required items from the site, but it will so be worth it. As a person who has been in a GD order for 10 years, I am so excited that I am on a new phase on my magical learning. This hits close to home for me (conjure was practiced in my family, but my parents were very much against it) so I definitely feel honored to be able to learn and carry on the tradition. Thanks Catherine! Am I in the right spot? When I clicked the forum link on the Hoodoo Rootwork Correspondence Course section of the Lucky Mojo page it led me to the forum but I received an : Error 404 - Not Found The server has not found anything matching the Request-URI. I am interested in working towards taking the Hoodoo Rootwork Correspondence Course somewhere in the future. I just received my first order from Lucky Mojo. (So I have a little ways to go there) I'm also restructuring my life after a not so nice separation from my place of employment. Most of the other requirements seem reachable if not already reached. I have been learning so much from the forums already. I hope to keep learning and reach all the requirement to take this course. You're on the correct thread. Wishing you the best. You will LOVE the course!! I am very excited for everybody who takes it. I received my course book yesterday in the mail! I started reading it this morning, and I love it! I am looking forward to reading the rest of it in my free time, and doing all of the assignments. I just requested to join the yahoo group as well. Thanks Lucky Mojo! I had my phone interview with Miss Cat last night, and I'm so excited to officially be her student! I ordered the course book and can't wait for it to arrive! I'm so excited for you!!! Woo Hoo!! You're going to love the course, geraldbelton! I'm wrapping up my final homework assignments now...it's been an amazing education! I would love to join the course. I come from a Caribbean background and I'm aware of out superstitions and I'm vaguely familiar with obeah and when I say vaguely familiar in using that term highly loosely so there will be no conflict with me entering into hoodoo. I plan on ordering the last set of supplies I need to be enable to enroll or call for an interview. I have just a few questions. 1. What exactly is meant my killing the work. 2. The graveyard dirt part- I was a little apprehensive about enrolling cause I was a little scared to do it but my little cousin died about 6 months ago so I figured I could use her dirt. at first I didn't want to do that even cause she died at 11 and thought she was too young, but today I got the feeling as I was reading over some of the posts that it was a good idea after all. and it was something I felt completely comfortable with especially for the course. Will the age thing be a problem? Where did you read this: "Killing the work"? Please give this phrase to me in a sentence. And of course you can use you're cousin's dirt. By the way, I am so very sorry to read that your cousin passed at such a very young age. The cemetery can be a lot of fun. Many of the deceased enjoy having visitors and are honoured. It can even become like a little picnic or a get together. I am so happy that you're taking the course!!! Actually what I read was killing work! So I'm assuming its a lesson in killing. By the way your post made me laugh! I loved it! Yeah! It was so sad. I initially didn't want to do it cause I thought she was too young but your permission makes me feel even more better. And she was my favorite cousin as well so maybe that's betters well. There are no lessons on killing. None!! Killing the work would mean that you messed up the spell, or you did something like throw it in the garbage, stuff like that. Yu ought to come to the cemetery with me. You would LOVE it!! Lol. Thank you. I was a bit apprehensive of that lesson as one could presume. I can't wait to start that's if I'm permitted. Come with you to the cemetery, I'm now getting used to spirit...but I think that would be an interesting field trip that I would come to love. I need to ask if having black Facebook friends is enough to be enrolled? I do know them through real life, but I lost touch with them because all but one are high school friends. I lost contact with the other black Facebook friend I have because he moved away, and because I knew him through Taekwondo which I stopped going to because my life went down the toilet, and I lost contact with all my other TKD friends, unfortunately. I also have half-black sort of-family members. My mom is engaged, and the man’s she’s marrying has two (blood) cousins who’re half-black, both toddlers. I see them often, since they’re close family to him. But I don’t know if that counts as family since they’re not blood and we’re not yet bound by marriage. I don’t actually have the money for the course right now, but I’m going to be getting a job soon, and it’ll probably be in a city with a very high population of black people. By the time I have the money to enroll it’s likely that I’ll be current, IRL friends with a black person. I’m not asking to be an exception. What I’m asking is if I don’t have current, IRL black friends by the time I am able to pay for the correspondence course, will my Facebook friends and family members meet the requirements for enrollment? If that's not enough, then I will wait until I have a more personal black friend without complaint. Oh, yeah, I forgot. I'm not asking this because I just want the lessons. I have every intention on graduating this course, including turning in homework #2. I know you've no reason to trust me about me wanting to complete the course, but I promise I won't be one of the ones who don't give anything back. Please call the shop and talk to Mother Katrina as I don't know what the requirements are with the facebook criteria. Okay, thank you Miss Aida. Again, I understand that probably doesn't meet the requirement for Homework #2*, and I understand if that's not enough to meet enrollment either. I promise I will get a current black friend; it's only a matter of time. I mean, I was literally WTF'ing out loud and spluttering as I read about how non-black people simply refuse to do such a simple homework. It's bizarre and pathetic that someone would want to learn the magic of black Americans, which has given them hope and power, without being a friend to them. I'm not making up my feelings for my "image". It was as if I was entering bizarro world as I read their gibbering nonsense why they should be exempt from that requirement. It's even worse because it was originally just a person of another race, and yet the problems only really started when Miss Cat changed made just a simple change to the race in question being black American. WTFH? Again, thank you for your prompt reply. I am overjoyed that my course came today! As soon as my kids get off to school, tomorrow, I'll be starting my first lesson. Now, I also am familiar with her other requirement which is being aware and knowledgeable about African American culture( I'm white). Growing up in New Jersey where we had so many different types of cultures makes it easy for you know at least a little bit about different cultures. But my main exposure to the African American culture was that my baby sitter was African American. Her son and I were best friends and I was at their house every day for about 4 years. I remember my mom telling me that Miss Judy (that's what I had to call her or I got in trouble) practiced what my mom called "that ju-ju stuff" but my mom was Ok with that and I was fascinated by it. I would sneak around the corner and watch her do her "ju-ju". She had a full curio cabinet of different herbs and candles and people would come to see her on a regular basis. Whenever I would ask her questions about it she would just smile at me and say "All in time child"
I forgot about Miss Judy and her "ju-ju" until I moved here to West Virginia and discovered folk magic and learned that Miss Judy's "ju-ju" was actually called Hoodoo. I've read books and have worked with herbs in spells but I'm ready to expand my roots (no pun intended) and learn from who I here is a wonderful teacher! So here I am! Hopefully a future student! You will LOVE the course that Miss cat offers. And, with your background, you're a "Shoe-in"!! Thanks Miss Aida!!! I look forward to starting the course and getting to know the other students and of course Miss Cat!!! Hey, I joined the Yahoo group. About how long does it take to be accepted in? Have fun with your course!! hey, good luck! and have fun! heyyyy.. I just completed my interview with Miss Cat, and I will be her student!!!!! Thanks Miss Aida, I know I will. hello my name is Athena and i am now starting my course, finally, wanted to say hello and hope im doing this right.. I just send in my first 3 homework lessons, abt two weeks ago. i dont know where to look to find out about the pass or fail thing? Glad you are working through the course! there is a lot of knowledge in there. Here is the link to the resource page for the course (http://www.luckymojo.com/mojocourse.html). On it it talks about the Yahoo group page. That is where I have always seen the grades posted for the assignments. Not much else is posted there right now and eventually that group will be moved over to these forums. For more specific information you may need to just call the shop. I hope this is helpful and if you get a chance pop over to the introductions part of the forum and tell us a little more about yourself! I am very excited to take miss cat’s course, was a little bit nervous speaking to the legend herself during my interview, and I’m super happy to have received the course book. It’s really quite a lovely book – very, very high quality and worth every penny. It’s a real keepsake. I’ve begun my reading and I’m loving it. Looking forward to the learning and interacting with other students. I hope you enjoy it, and that you turn in your assignments and graduate!